Opposition MKs criticize Joint List over initiative to have Israel condemned by the UN General Assembly. Sunday evening’s report on Hadashot TV about an initiative of Arab Knesset members from the Joint List to have Israel condemned by the UN General Assembly caused great anger among their colleagues in the opposition. According to the report, a number of MKs from the Joint List met with UN officials alongside Palestinian Authority (PA) representative Riyad Mansour and other senior PA officials in order to arrange the passing of the anti-Israel resolution. Israeli diplomats have been informed that the MKs have met with senior UN officials, including the UN Under-Secretary-General for Political Affairs. The MKs presented the text of the Nationality Law and claimed that it contains "Apartheid" provisions. Opposition leader Tzipi Livni declared that she is prepared to fight the Arab move. "We will stand against the Arab MKs' attempt to act against Israel and condemn it at the UN and we will fight inside Israel to preserve it as a Jewish and democratic state," she said. "We will continue to strongly oppose anyone who wants to harm the existence of Israel as the state of the Jewish people or its existence as a democracy. The Basic Law: The Declaration of Independence that we will bring to a vote will bring Israel back to itself,” added Livni. 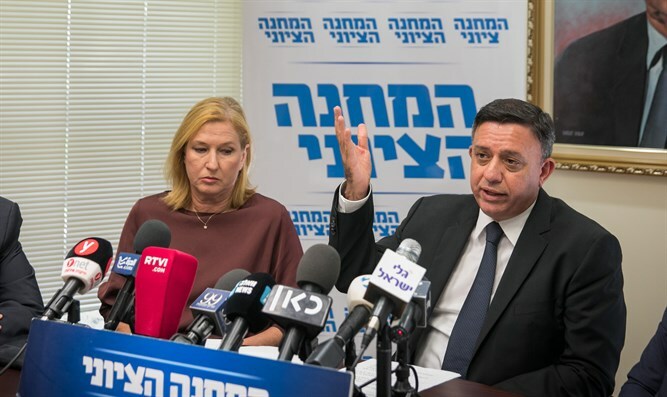 Zionist Union chairman Avi Gabbay, added that "the MKs of the Joint List continue to slander our country everywhere. We will continue to fight this phenomenon." At the same time, Gabbay also chose to attack Prime Minister Binyamin Netanyahu, saying, "The last person who can complain about them is Netanyahu, who warmly shook Arafat's hand, released 1,000 Hamas terrorists, lost to Hamas in Operation Protective Edge, brought [senior Hamas terrorist] Salah Aruri to the Gaza Strip and hid from the chief of staff the fact that he and his cousin Shimron gave permission to Germany to upgrade Egyptian submarines." Meanwhile, MK Ayelet Nahmias Verbin (Zionist Union) said that "the attempt to use the Nationality Law to delegitimize Israel is as bad as the Nationality Law itself." "If there is a battle that the opposition conducted with the deep and unanimous agreement that the absence of the word ‘equality’ from the wording of the law is a violation of the basic values ​​of the State of Israel, it was the battle against the Nationality Law. Our battle against the Nationality Law will continue on the one hand and on the other hand so will the battle against those who use it to harm the State of Israel and its strength. The members of the Joint List would do well to keep their battles to the Knesset and Rabin Square and not to take them abroad,” she added. "The Nationality Law strikes a mortal blow to the equality of citizens and the democratic space, and we will fight against that on all fronts. Those who still wish to live in a democracy should join us," he claimed. MK Yousef Jabareen added, "Our appeal to the international institutions is part of our defense of our status and our rights in our homeland against the racist and dangerous legislation in Israel, headed by the Nationality Law." "If the government of Israel has nothing to hide from the world, why is there so much excitement over our international activity? The extreme right-wing government should be ashamed of the Nationality Law and its racist legislation in the face of a democratic world that promotes equality and equal citizenship for all citizens,” he said.